December is the month for reflection on the year past and planning for the year ahead. If there is one major lesson to learn from marketing success in 2017 it’s that constant innovation is essential for moving the bottom line. 63% percent of marketers increased influencer marketing budgets in 2017. 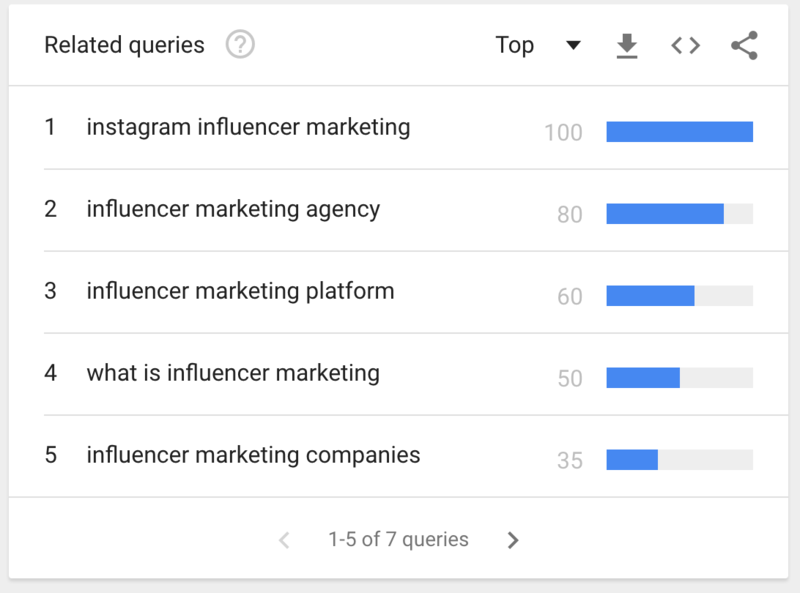 +325% increase in searches for “influencer marketing”. 92% of consumers trust recommendations from other people over brand ads & contents. Instagram marketing has seen the biggest interest as the platform grows its analytics & influencer features. Instead of working on many smaller campaigns, influencers and brands alike are seeing value from aligning with fewer, impactful bloggers who have built a good ongoing relationship. Connecting these influencers with brands is something that agencies like Acorn: The Influence Company, pride themselves on achieving with best-in-class analytics. In 2018 we’ll see brands aligning themselves with agencies who truly understand their marketing goals. Working closely with each other to find the right influencers to work on the right campaigns, impacting the right consumers, is ultimately what works best for all parties involved. Next year we’ll see improved capabilities for measuring the ROI of an influencer campaign. Attributing social engagement to a sale is the holy grail of digital marketing. Improvements in social media analytics are bringing us closer to seeing those important numbers. We’re already working with digital agencies to tie influencer content to in-store promotions & sales (contact us to learn more). Social networks are also doing their part to make attribution simpler and measurement. Instagram, for example, introduced the shoppable retail posts and influencer paid relationship disclosures. We’re eager to see other social networks follow suit in 2018, putting a bigger emphasis on tracking influencer content from publication to product sale. Content & influence both play an important, ever-growing role in how a brand interacts with consumers through influencer campaign. The quality of content that influencers produce rivals that of professional media creators. But now that so many influencers are able to deliver outstanding content, the move toward building actionable content will become important in 2018. This means directing consumers to the right channels, using a series of interactions in the content that are interesting, educational and valuable. Using data collected from social media, Google Analytics, and other channels will be more important in 2018 than ever before. Gone are the days of blindly throwing money into digital ads and hoping for a winning bet. Influencer marketing a is a key performer in the use of data-driven marketing. Brands and agencies will want to leverage social media demographic data to target content to their ideal audience. That might mean focusing on one channel, over another, or increasing spend to use key influencers who have demonstrated success with specific industries and audiences. Increase use of video marketing has been on everybody’s prediction lists for years, and although it performs well, its adoption in campaigns by brands & agencies has been fairly limited. This could be due to the cost, and effort required in making compelling video content. The rise of live video (and the potential for mistakes) has also had brands shying away from this new form of marketing. But to see enhanced results, video marketing, and the use of Augmented and Virtual Reality is a must for brands and agencies in 2018.